Cook over medium heat 10 minutes, stirring constantly. DO NOT BOIL. 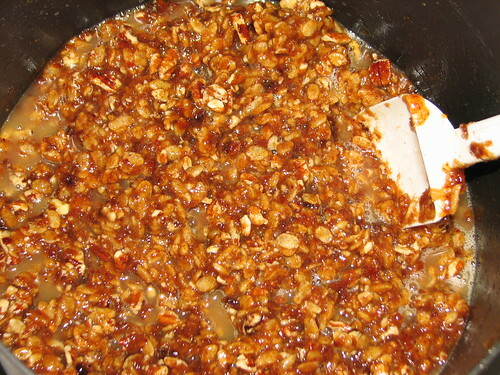 I melt the butter first, and start counting the time from when it begins to simmer after I have added the sugar and the dates. Mix well. 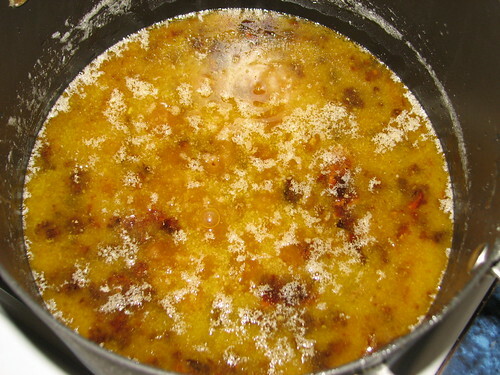 The mixture will be runny. It becomes firmer as it cools. 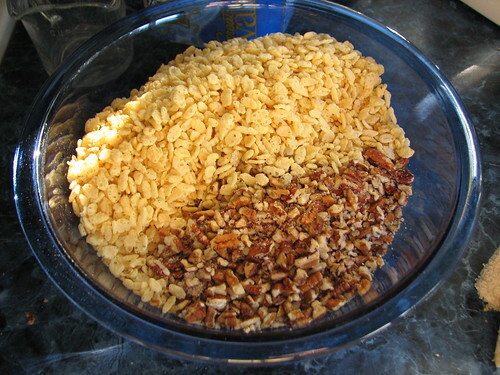 As it cools, the rice crispies will absorb some of the butter and liquid. After about an hour, it will be cool enough to shape into 1-inch balls (more like pressing than rolling into balls). Excess butter will roll down your arms if you hold your hands above your elbows…I speak from experience. Keep a roll of paper towels handy. 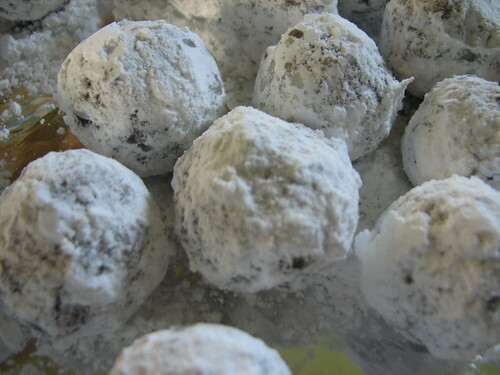 Roll the date balls in powdered sugar. 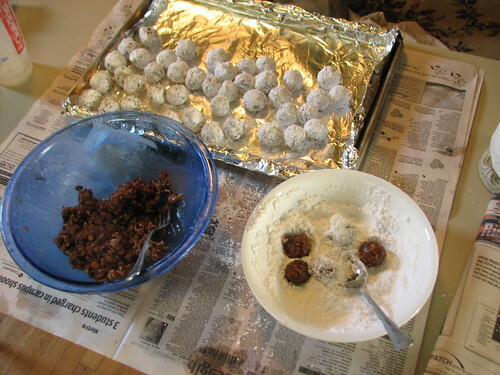 To store them in the freezer, I layer them between sheets of waxed paper in a plastic container with a tight lid, using any leftover powdered sugar to sprinkle over the date balls. This entry was written by ~~Rhonda, posted on October 21, 2008 at 4:29 pm, filed under cookies and tagged cookies, date balls. Bookmark the permalink. Follow any comments here with the RSS feed for this post. Post a comment or leave a trackback: Trackback URL.